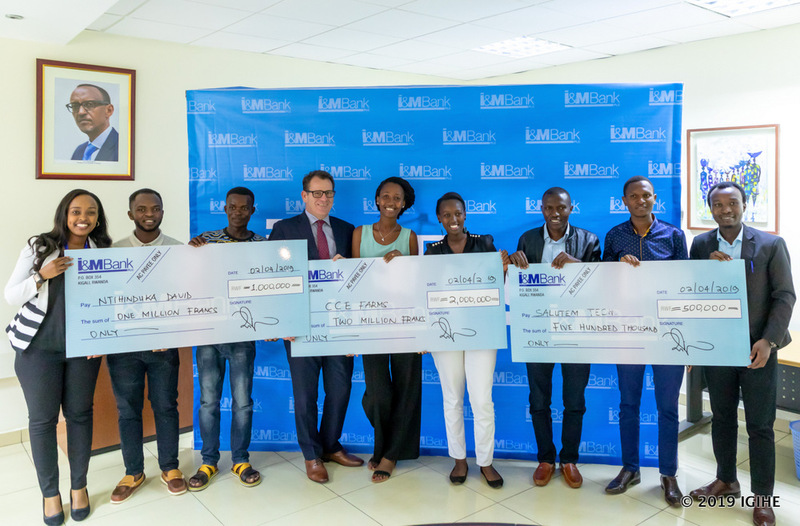 I&M Bank Rwanda has awarded three excellent small projects selected through its social media campaign dubbed #IMPushToStart held in March 2019. Three projects selected during the campaign are related to chili pepper farming, recording patients’ database digitally at hospitals and a photo studio . 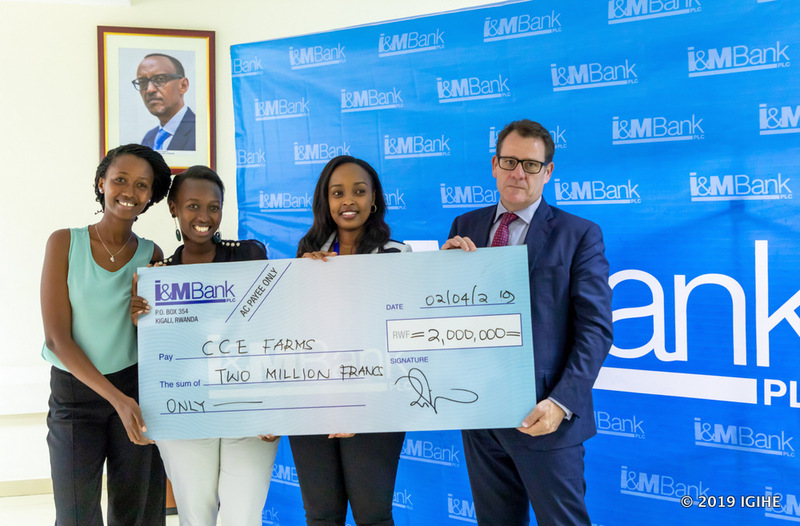 The chili pepper belonging to CCE Farms received Rwf 2 million; David Ntihinduka the founder of a photo studio received Rwf 1 million while SalutemTech Ltd walked away with Rwf 500,000. 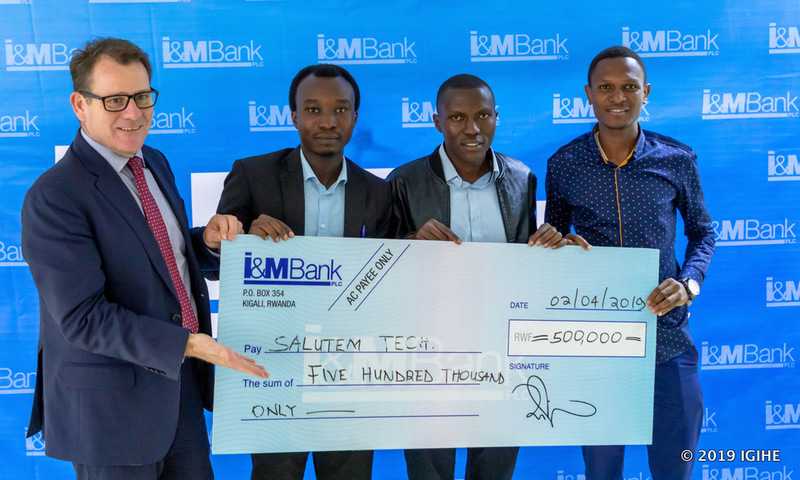 Selected winners are followers of I&M Bank social media platform who pitched their projects on Twitter using the hashtag #IMPushToStart attracting a large number of likes and retweets. The three awardees were selected among five projects presented to designated I&M committee. After receiving cheques yesterday at the headquarters of I&M Bank, beneficiaries pledged to expand their projects. Candide Ushorewenimana, one of the founders of CCE Farms growing chili pepper in Musenyi of Bugesera district revealed that the money will be utilized to invest in the establishment of an excellent horticulture center. “We plan to use the award to build a small plant enabling expansion of our activities. We started trading but we have found the need to plant chili pepper to satisfy the market because we previously supplied only a ton collected from different markets to the National Agricultural Export Board (NAEB) in a week,” she said. CCE Farms has 4 permanent and 20 temporary employees. David Ntihinduka from Gatsibo district, the winner of Rwf 1 million from his Holy Movie Studio said the money will enable him to buy a decent camera, a printer and other equipment to be used in his business. 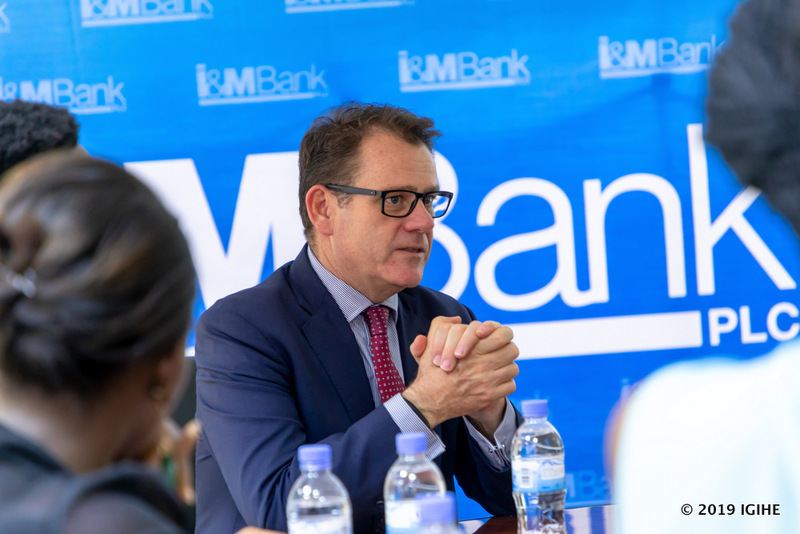 The Managing Director of I&M Bank in Rwanda, Robin Bairstow said the number of university graduates surpasses available jobs which compelled the bank to support small and medium projects. He lauded awarded projects promising transformations among Rwandans and promised them support to acquire loans through Business Development Fund (BDF). “We will help you in whatever way in relation to banking services. We facilitate access to guarantee which is an obstacle to many. I am here as your adviser when you require,” said Robin Bairstow. Awardees become an ambassador of the bank in their areas of operation. I&M Bank will visit beneficiaries in six months to assess the implementation of their projects. 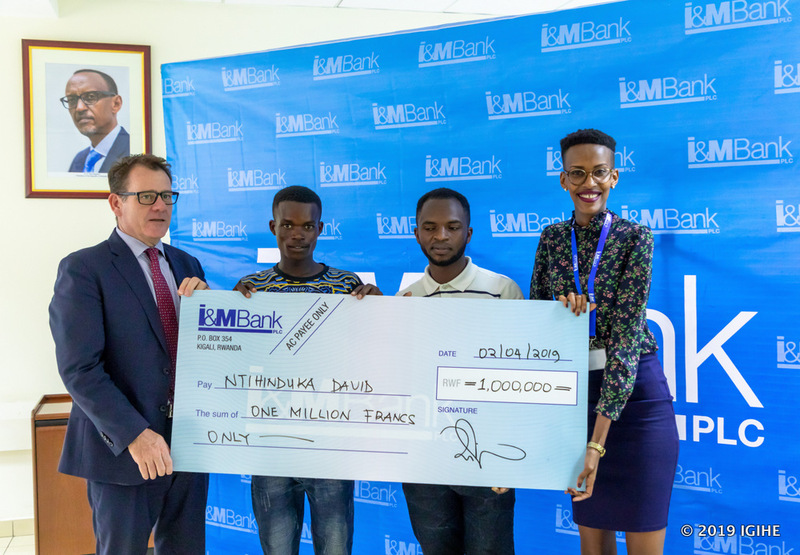 The campaign also awarded Christian Turimumahoro with Rwf 100,000 as I&M Super Saver and recognized Edmund Kagire for his impressive message on the Celebration of International Women’s Day. 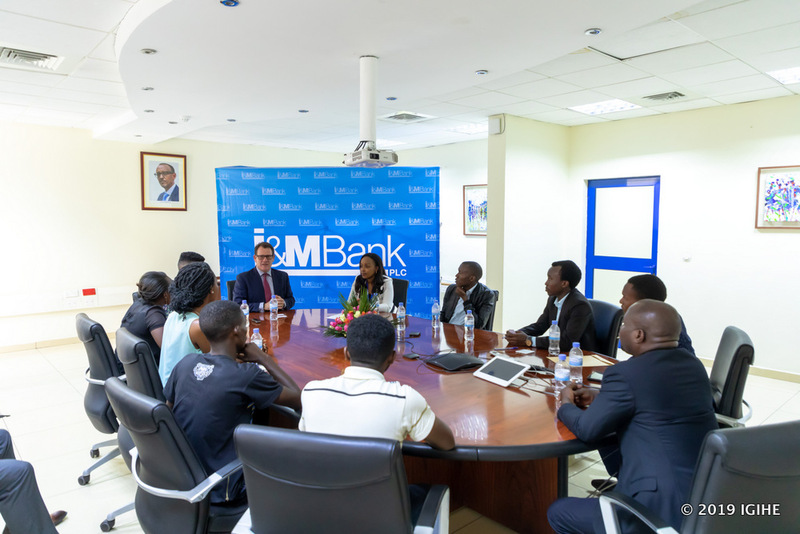 The campaign saw the number of I&M Bank Rwanda social media platforms followers rising to 1845 from 1444 on Facebook; to 2027 from 1854 on Twitter and rose to 315 from 218 on Instagram within 30 days.